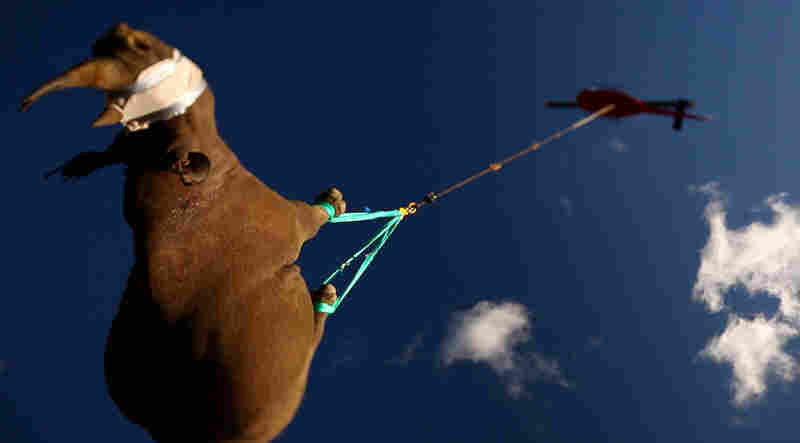 Flying Rhinos: Photos You Don't See Every Day : The Picture Show Researchers use a new, gentler technique to transport 19 rhinos out of a poacher-plagued region in South Africa. Paging Danny Glover. A new species needs your help. 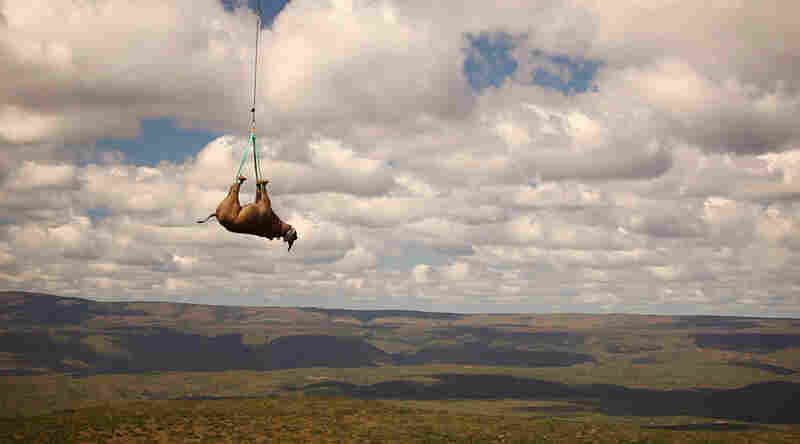 These photos, which came to us via email from the World Wildlife Fund, show an amazing scene: Nineteen sedated black rhinoceroses were airlifted out of an area in South Africa, and spent about 10 minutes upside down in the air en route to a new home. These thick-skinned mammals, weighing up to 3,000 pounds each, were being transported to the Limpopo Province in South Africa. 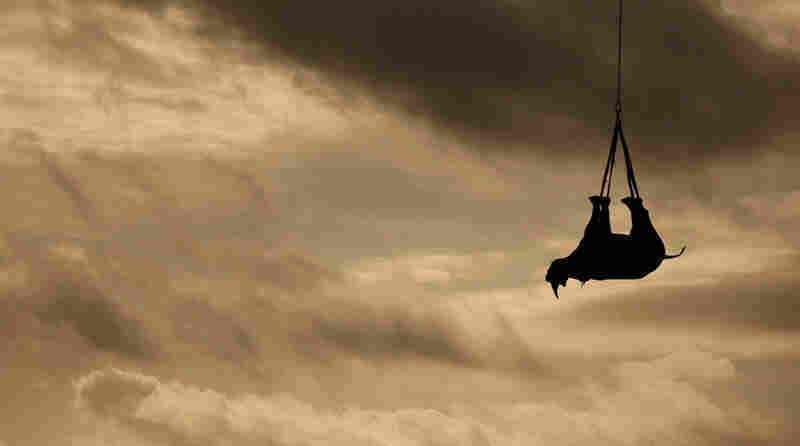 Led by the WWF's Black Rhino Range Expansion Project, nearly 120 black rhinos have been relocated, with the hope that a new home will help protect the critically endangered species from poachers. This new technique in removing rhinos from dangerous situations is gentler than previous methods, according to Dr. Jacques Flamand, World Wildlife Fund project leader. 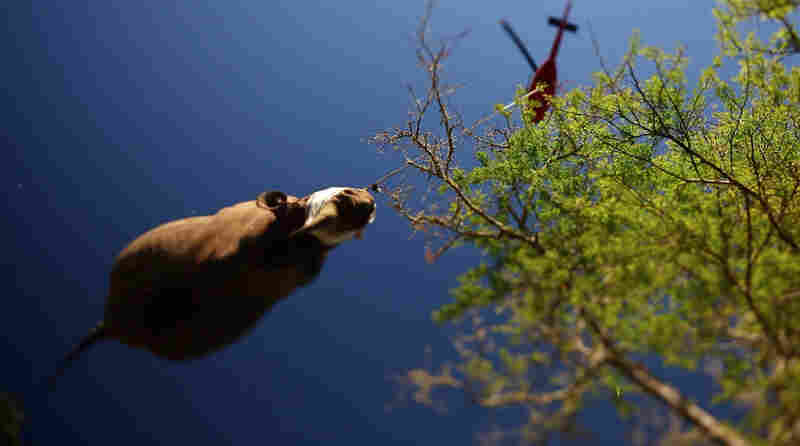 "The helicopter translocations usually take less than ten minutes, and the animals suffer no ill effect," he said in a statement. "All of the veterinarians working on the translocation agreed that this was now the method of choice for the well-being of the animals." 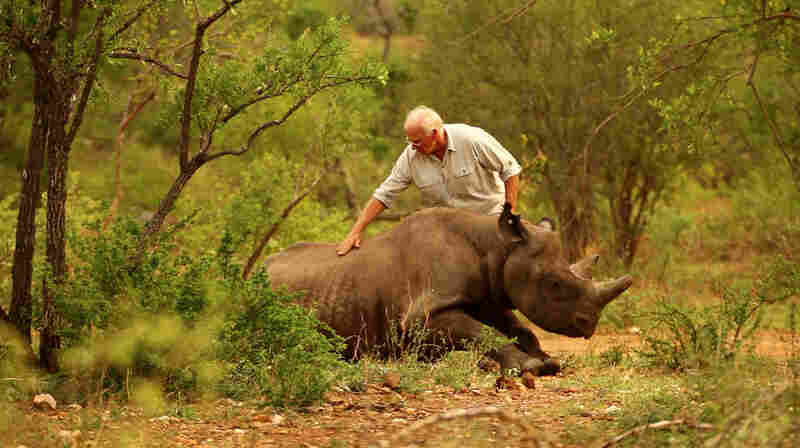 Poachers have been responsible for the demise of other rhino species as well. About 65,000 black rhinos thrived in 1970, according to the International Rhino Foundation, but less than 5,000 roam the planet today.